IWFF Presents - Free Event! 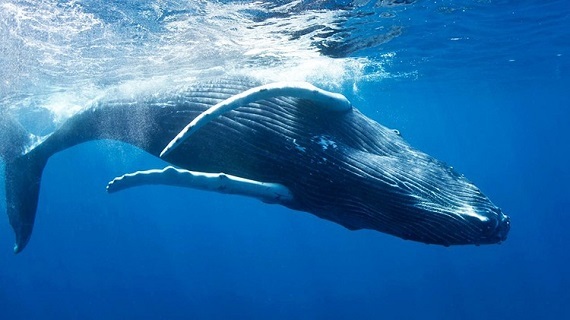 Sound is essential to the survival and prosperity of marine life. But man-made ocean noise is threatening this fragile world. Sonic Sea is about protecting life in our waters from the destructive effects of oceanic noise pollution. International Wildlife Film Festival Presents a monthly offering celebrating emerging filmmakers and the future of wildlife & environmental filmmaking, culminating in a 7-day festival April 13 - 19. Keep up with IWFF at https://wildlifefilms.org/. IWFF is partnering with Jackson Hole Wild, the Secretariat of the Convention on International Trade in Endangered Species of Wild Fauna and Flora (CITES) and the United Nations Development Programme (UNDP) to present a screening from the recently announced World Wildlife Day Film Showcase: Living Oceans. Oceans are a sonic symphony. Sound is essential to the survival and prosperity of marine life. But man-made ocean noise is threatening this fragile world. Sonic Sea is about protecting life in our waters from the destructive effects of oceanic noise pollution. The film is narrated by Rachel McAdams and features Sting, in addition to the renowned ocean experts Dr. Sylvia Earle, Dr. Paul Spong, Dr. Christopher Clark and Jean-Michel Cousteau. Sonic Sea was produced by the Natural Resources Defense Council (NRDC) and Imaginary Forces in association with the International Fund for Animal Welfare (IFAW) and Diamond Docs. Presented free and open to the public.